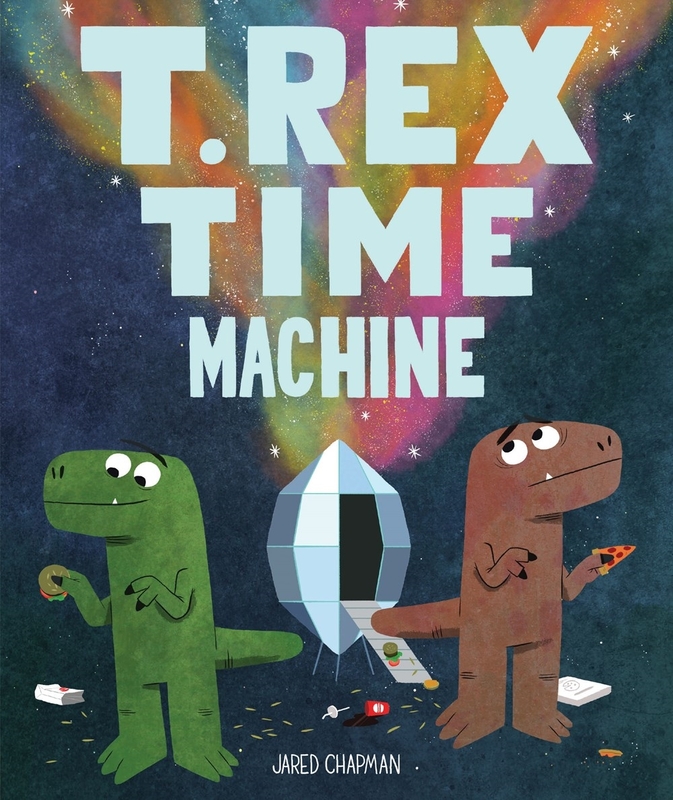 When two hungry dinosaurs jump into a time machine, they're transported to an unbelievable, magical, surreal future: RIGHT HERE, RIGHT NOW! On the T. Rexes' madcap voyage into the unknown, they encounter the many wonders of the modern world: Police cars! Phones! Microwaves! They don't know how they'll get home—but why would they want to? Acclaimed author and illustrator Jared Chapman combines two favorite kid topics—time travel and dinosaurs—with bold colors, big jokes, and a hilarious escapade. This raucous, laugh-out-loud adventure will delight the very young and keep older readers giggling long into the future.